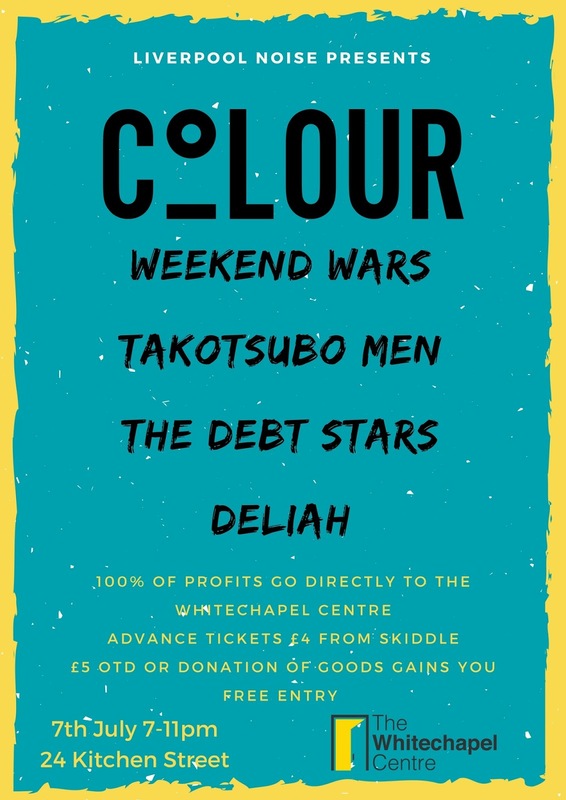 MERSEYSIDE online publication and promoters Liverpool Noise will host a fundraiser for homeless charity, The Whitechapel Centre on Friday, July 7 at 24 Kitchen Street. Leading homeless and housing charity for the city The Whitechapel Centre works with people who are sleeping rough, living in hostels or struggling to manage their accommodation. The charity say they are committed to helping people find and maintain a home and learn the life skills essential for independent living and we are proud to be supporting them. Warming up the crowd are contemporary RnB duo Deliah, The Debt Stars and Takotsubo Men. Performances also come from indie-pop group Weekend Wars and headliners Colour. Receiving widespread critical acclaim from the likes of Q Magazine, Clash Magazine and the Sunday Times Colour's rock pop anthems are infused with electronic haze, something which has helped them sell-out gigs across the city. Advance tickets are available from Skiddle for £4 or £5 on the door. To gain free entry on the night, bring a donation of clothes or sundries.